Canterlot Avenue Development » Canterlot Avenue | The Roleplay & Social Site! 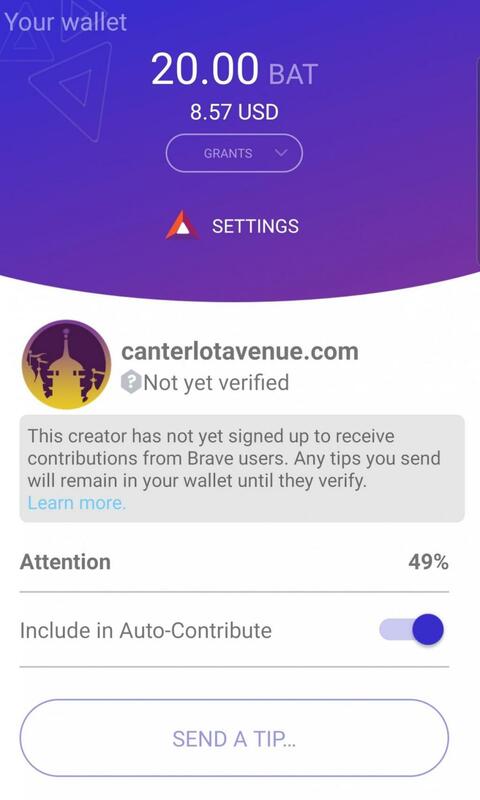 I'm not sure if this is something which has already been discussed, but will we be seeing an android/ios CA app? Or is development strictly focused on the website? I wouldn't mind seeing an android app in the future. But if anything like that were to happen I'm sure it wouldn't be for a while. At the moment, development is strictly focused on the website since there aren't that many developers available. Thankfully, there have been some recent developments in web technologies that allow for stuff like mobile push notifications. Expect to see something like that in the future. Dang. I was hoping for an app. As nice as web push notifications are, they can't be fine tuned, or have in-line replies (or chat bubbles with android q preview). That's true. There are certainly a bunch of limitations. 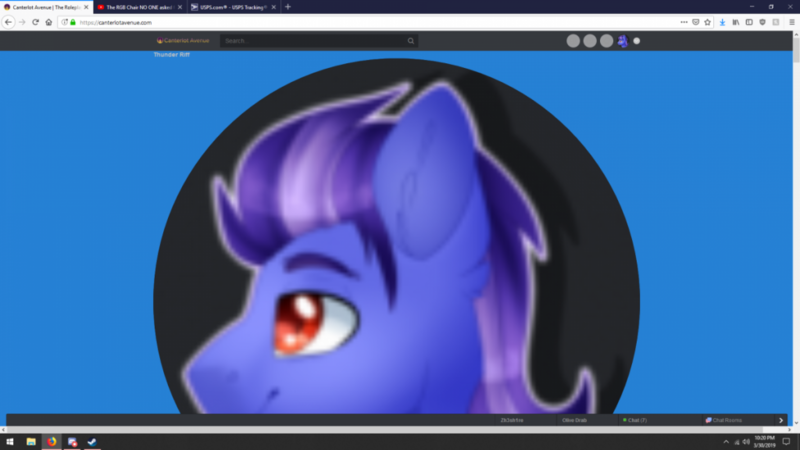 If Canterlot Avenue seems slow or goes down, our sister site MLP Forums is currently performing updates and there is a small chance it may have adverse effects on us. Just anticipate it. Syncenator, Demonic H. Hooves and 1 other person liked this. Not what I meant, but appreciated anyway. It's a known issue, try restarting your browser and let us know if it works. Yes, it worked, thank you very much! That's a wrap on April Fools' 2019! Sadly, PonySquare isn't coming back, but we would like to thank everyone who was a good sport about it. On our end, we would like to thank Comp, Mellow, Nacle, Coro...View MoreThat's a wrap on April Fools' 2019! 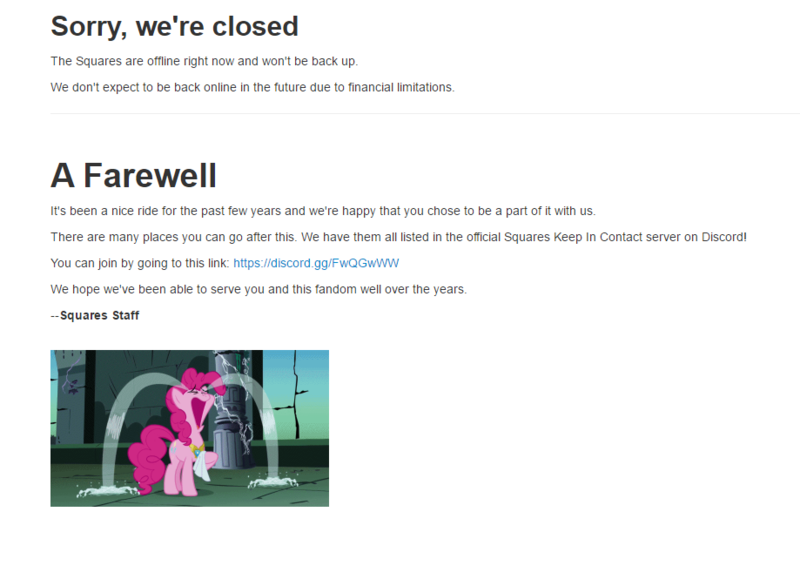 Sadly, PonySquare isn't coming back, but we would like to thank everyone who was a good sport about it. On our end, we would like to thank Comp, Mellow, Nacle, Corona, and whoever was involved in the Public Relations department for pulling this off. Moving forward, though, here are couple of points: - Any technical issue introduced from the theme change will not carry over back into the main layout. - There was surprisingly a lot of useful feedback from the PonySquare clone theme that will be taken into consideration into the main theme. Yes, speed is key. No, profile photos will not become square again. - There is the prospect of profile subtitles becoming a subscription feature. Feed filters are also a hot topic and an idea of a clear path forward has been conceived. - In the coming months, the mail client will be improved. Syncenator, Inactive Account (Ja and 9 others liked this. They removed Cambia, but forgot to remove Cambia as well. I would like to thank whoever oversaw removing ponysquare from existence. Financial limitations were not the reason Squares went down. Vy Thresh, Ephemeria Spring and 2 others liked this. YOU CAN HUG PONIES AGAIN!!! Syncenator, Hrothgar and 3 others liked this. Back by popular demand, it's PonySquare! Relive your glory days with the new interface. Just don't get too crazy. Hrothgar, Flam and 14 others liked this. P2 after waking up in the middle of the night. The horror. Before I joined CA Staff, the first innovation that was planned and being developed was dark mode. Yep....I turned off dark mode for one day only just to get that authentic bad design. As soon as this joke is done, so is light mode. I for one welcome this blast from the past, yesss. NOTICE Press Ctrl+Enter or Cmd+Enter for a new line. Sorry mobile users. Also comment editing is going to be funky for now. I actually like this style, instead of the bar interface. I would love to keep this! great job comp! I've missed PonySquare so much! I'm so glad it's back! So this is bizarre... once in a blue moon when I go to the main feed the page loads like this. Refreshing the page fixes this every time but it's still weird to see out of nowhere. Pinkie Pie (Werepony, Syncenator and 3 others liked this. It's because you're so great. Stallions who just happen to really like other stallions! Are you a... Swedish Fish?